The 500 S&W was produced as a combined effort of Smith and Wesson and Corbon, and is one of the largest handgun rounds on the market. When this round came out in 2003, Smith and Wesson regained its status after a long lull as having the most powerful handgun round. 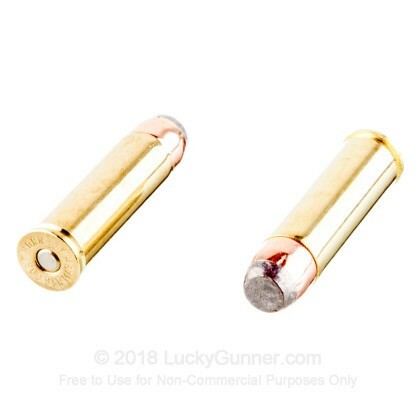 With this massive revolver cartridge, keep your family safe like never before. 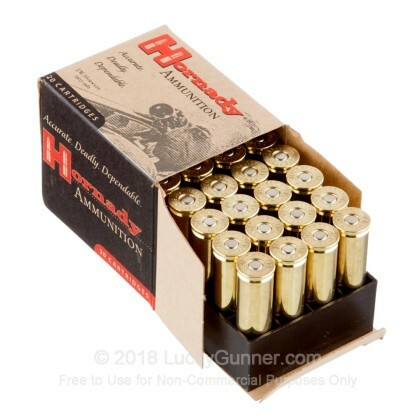 Not only is this one of the most powerful handguns known to man, these cowboy style rounds feature Hornady's finest: the XTP bullet. 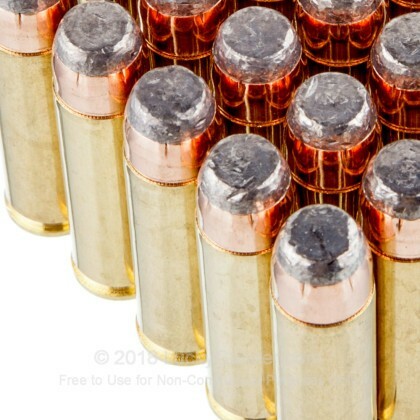 With these supremely accurate, reliable rounds with phenomenal, controlled expansion and mass retention, you will have no fears of staying out of danger. 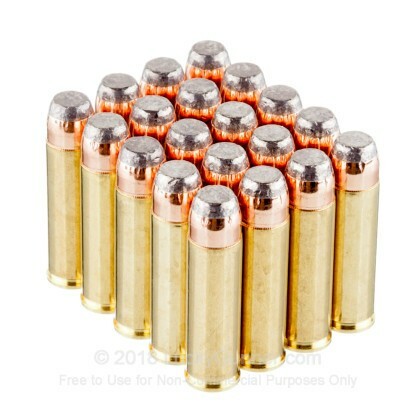 Not everyone can boast a 500 grain round, but these reloadable 500 S&W rounds gets the job done. 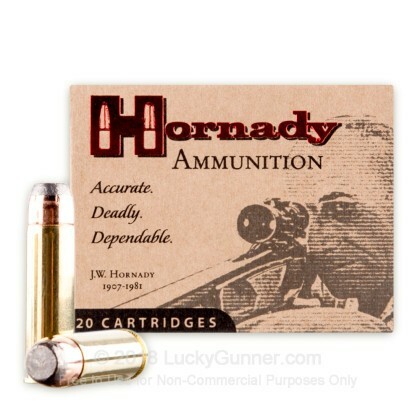 We don't have any reviews yet for this particular .500 S&W Magnum ammo from Hornady. 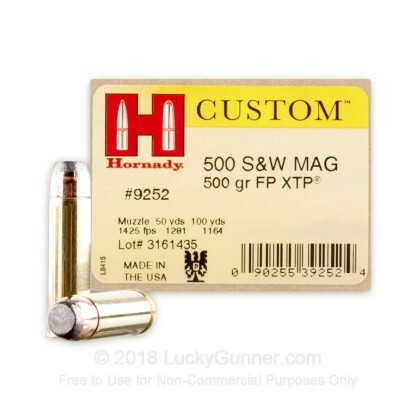 If you'd like to be the first to review this particular .500 S&W Magnum ammo from Hornady, fill out the form below.